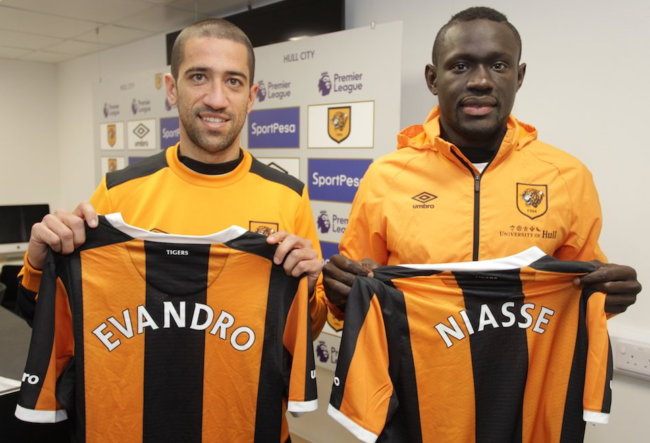 Marco Silva has completed his first two pieces of business as Hull City coach today with a double-bubble signing of Evandro and Oumar Niasse. Niasse arrives on a six-month loan from Everton, where the he systematically failed to make any kind of impression to the point where Ronald Koeman began refusing to acknowledge the Senegalese striker’s very existence. Evandro, meanwhile, was front and centre during the incredible job Silva pulled off at Estoril, rescuing the Portuguese side from the brink of implosion and taking them into the Europa League. Both Niasse and Evandro represent gambles on Silva’s part, but they’re also relatively cheap gambles in the grand scheme of things.